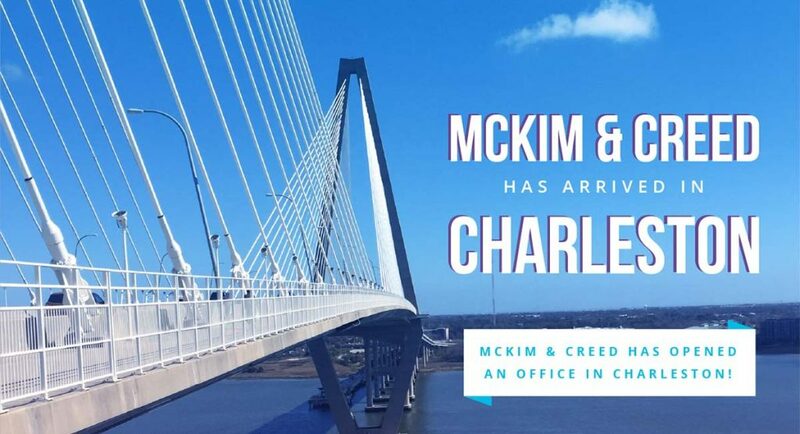 If you have ever watched a professional cycling event and seen the glitz, glamour and exacting physical standards of the top teams – well, let’s just say, that wasn’t McKim & Creed team at Bike MS in New Bern, North Carolina. Rather, we started the charity event riding like a motley crew. However, over the subsequent 6+ hours of riding together, the team transformed from a group of individuals fighting the wind into a team moving in synchrony toward a common goal. This transformation may seem ordinary, but in my 20 years of riding/racing bicycles, I can attest that this is rare and worthy of reflection. What allowed the individual cyclists to coalesce into a functioning team so quickly? While wearing spandex and hurtling yourself down the road at 20 mph, you must have a great deal of trust in your teammates before you will draft within inches of their tires to gain aerodynamic advantages. If one rider drops a water bottle or fails to identify an obstacle, the day ends with a ride to the hospital. Before we could gain the efficiencies of a team, each rider had to earn the trust of the entire team. 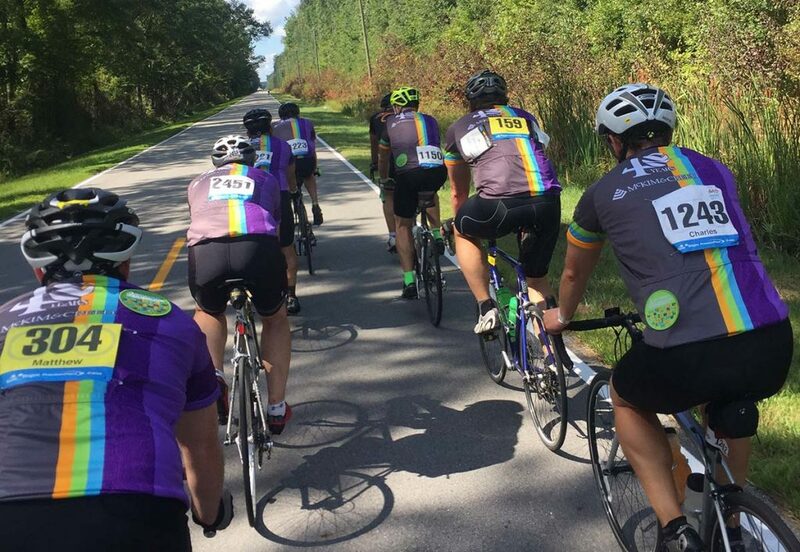 On Saturday, a small group of riders began riding together, all intent on completing 100 miles. Yet everyone had a different approach; some riding fast and some more conservatively. After minutes of chaos and inefficient riding, the idea that we should ride together and finish as a team began to resonate with the group. One brave leader proclaimed, “We are here to support each other and ensure everyone finishes safely.” From that point on, we all worked together to keep the group together. When each of us struggled at certain points, stronger riders kept the group intact. To be effective as a team, several ground rules were established to ensure we would ride safely and efficiently. There were times during the ride that we each needed to be held accountable so we could accomplish our goals. And with a strong team dynamic, the nameless, rank-less approach even held our super-speedy CEO accountable with several reminders to SLOW DOWN! 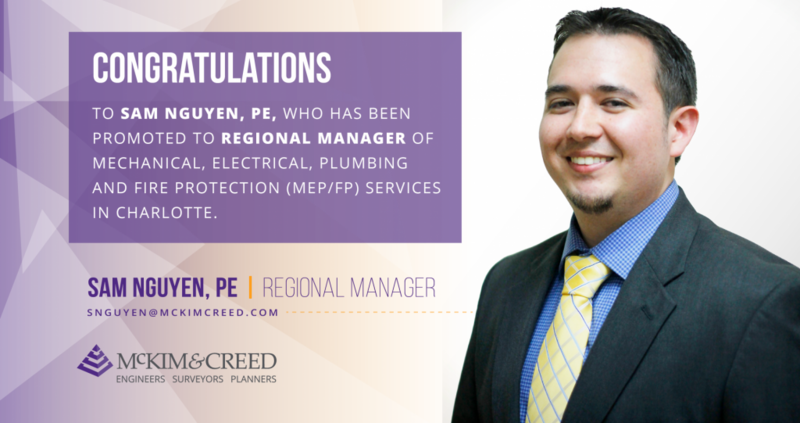 With strong team attributes like these at our core, the future is bright for the McKim & Creed team! 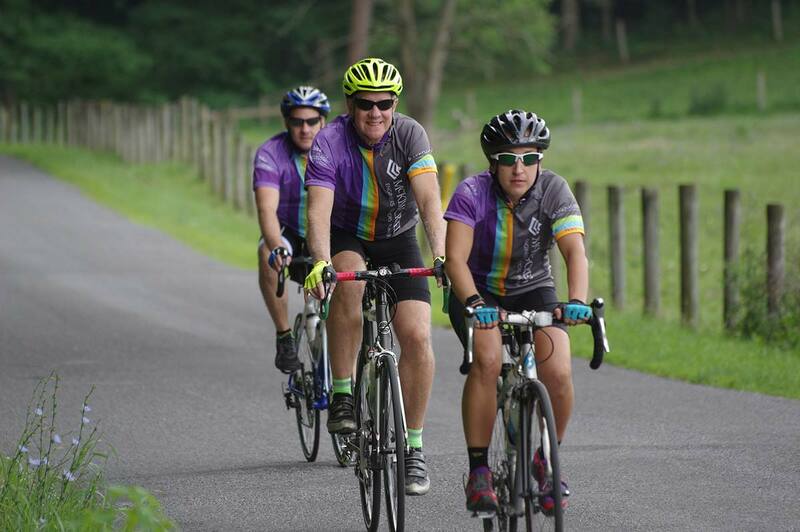 McKim & Creed began our Bike MS “season” in Glimcher, Pennsylvania on July 21-22. 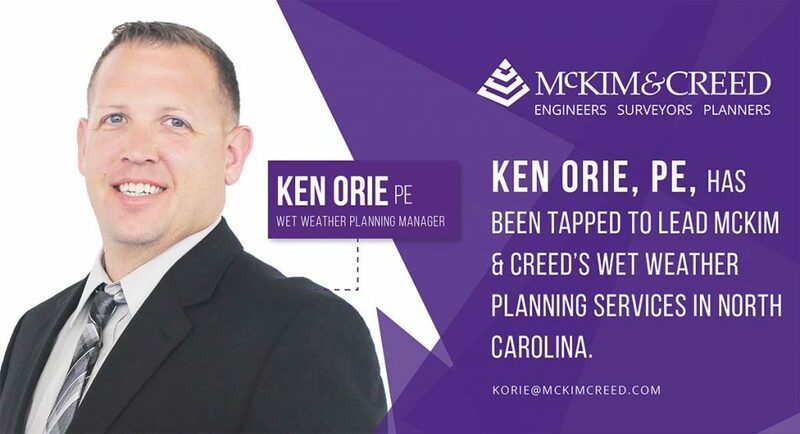 McKim & Creed participated in Bike MS in Historic New Bern, North Carolina on September 8-9. 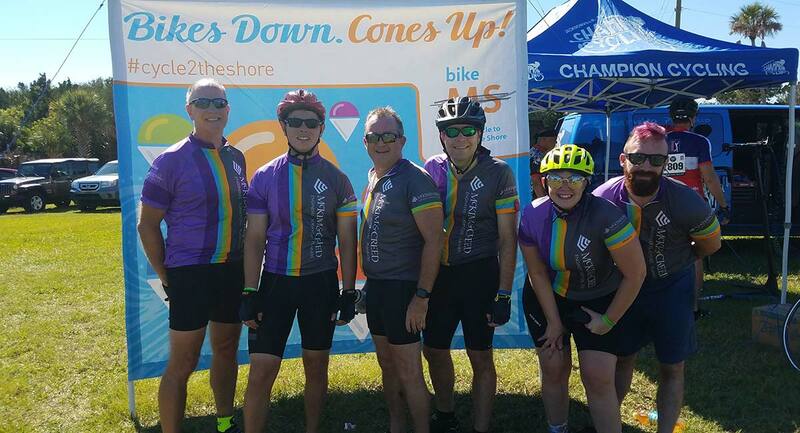 Our third and final Bike MS event of 2018 was Cycle to the Shore in Florida on October 13-14.